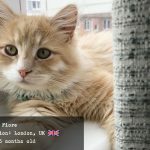 How to choose a good brand of wet food for your cat? 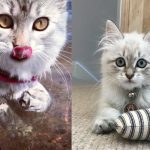 When you adopt a new Siberian kitten or adult cat, there are a lot of decisions you will have to make about maintaining their health and well-being. One of the most important decisions is what to feed your cat. There is a multitude of options today: just visit a local pet store. 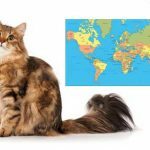 You will see rows and rows of different cat food – dry food, wet food, natural food, raw food of different types and brands. All of which claim to be the best solution for your kitty’s proper nutrition. 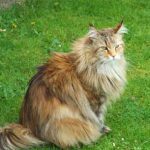 How do you make an educated decision on what is really best for your Siberian cat? I hope this article can help you clarify this. Any conversation about best nutrition for cats needs to start with the fact that cats in nature are predators and obligate carnivores. This means their main source of nutrition is and has to be meat, and only meat. A cat’s body has evolved to have only a limited number of enzymes – a perfect set for dealing with meat protein, but not with plant food, or carbohydrates, or anything else. To be able to still absorb vitamins and minerals from plant food, cats in nature eat animals that can eat and digest plant food – herbivores. When a cat kills an animal – a bird, for example, the first thing it will eat is its guts and the contents of its guts, so as to gain access to those already broken down nutritious elements. Then it will eat the rest of the animal. Cats in our homes don’t differ at all in the way their digestive system works from their wild counterparts. However, they cannot hunt in your home environment, and thus cannot provide themselves with proper nutrition on their own. Humans often have no idea what cats can and cannot eat. They think that a wide and diverse diet, which is good for humans (supposedly), should also be good for cats. Very often cats are fed an inconsistent diet of whatever the humans are eating that day, including vegetables, oatmeal, soups, potatoes. Even people that know that every day human food is not good for cats, still think that dairy is good for them – hence cheese, milk, butter in their cat’s food dishes. None of those things are good for your cat! Not because they are bad in and of themselves, but because a cat simply cannot process such foods effectively and extract nutrients it needs for its well-being. So what do you feed your Siberian cat then? 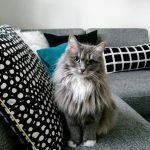 Natural food is exactly that – meat (and sometimes fish, although it’s debatable whether fish is actually natural food for cats and whether it should be a staple in their diet.) An adult cat should get around 200 g of meat per day (kittens shouldn’t be limited in food intake.) You can give your cat beef, lamb, chicken (not the bones!) – cooked or raw. Don’t be afraid to give large, whole pieces of meat. Cats are designed to rip meat apart easily and ingest it, it’s very good for their teeth. When it comes to poultry, you can give your cat boiled or raw chicken and boiled chicken livers. If you give your cat raw meat, a good idea would be to freeze it before. Don’t give your cat any smoked or cured meat. You can also give your cat some fish, but it shouldn’t be the main staple, far from it. Never feed your cat fish as main part of their diet, only now and again. While fish has some really good nutrients, it is also deficient in a lot of nutrients necessary for your Siberian cat’s health, such as thiamine and vitamin K. Also, if you are going to feed your cat fish, it should always be cooked! If you are not willing to feed your cat their natural, real food (meat), your other option would be to feed them commercial, store-bought cat food. Here again, you will have to make a choice – dry food (kibble) or wet food (canned food)? I hope the further information will help you see that there is really only one option. 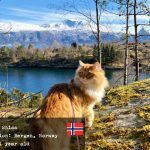 Siberian cat food: Dry food or wet food? Never feed your cat dry food. Here I said it. Dry food is not good for cats, for a multitude of reasons. Here are three main ones. Dry food is usually full of ingredients that are bad for cats. Dry kibble usually contains a large percentage of plant-based food, such as grains or vegetables, which are both not only unnecessary but also bad for cat’s health. Even if the package states that the kibble contains meat or a large percent of meat, most of the dry kibble brands still contain grain! Dry food has extremely low water content. You may have noticed that your cat doesn’t drink all that much water. That is how cats are designed – they are supposed to gain most of their water from their food. A cat’s typical prey would be around 70-80% water (mice and other animals). However, when it comes to dry food, the water content in it is very small. Dry kibble only contains up to 10% of water. That is nowhere near enough. If your cat only eats dry food, it will be permanently dehydrated. Not all cats will have the urge to actually drink out of their water bowl. Dehydration in cats is bad for many reasons. It can cause various diseases such as urinary tract and kidney diseases, which are painful, costly to cure/alleviate and potentially lethal. The cat’s urinary tract functions best when there is plenty of water coursing through the cat’s system. Dehydration poses serious risks, particularly for male cats. When a cat eats wet food, its intake of water is double that of a cat eating only dry foods, even with other sources of water taken into consideration, such as water from the water bowl. Carbohydrates are not a good source of energy for cats. Yes, your cat can eat an occasional berry or fruit or vegetable and will be able to metabolize the carbs into a short burst of energy, but it should never happen on a regular basis. Remember, cats are obligate carnivores and should only get their energy from animal protein! Carbohydrates in the cat’s diet can negatively affect your cat’s blood sugar levels and predispose it to diabetes and/or obesity. Sources of carbohydrates in cat foods are grains and vegetables. Some cat food even has fruit and berries in it! Remember, all of those are carbohydrates, so if the label states “grain-free”, it doesn’t mean carbohydrate-free. 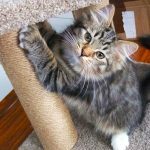 With its large contents of grains and vegetables, dry food simply doesn’t contain the right amount of animal protein necessary for the cat’s well-being. The harsh way dry food is cooked also contributes to the destruction of the minerals and nutrients. Food serves both as fuel and as building material for the cat’s body. Without proper fuel and building blocks your cat cannot and will not be healthy. Dry food also often contains bacterial and fungal contamination, which are all not good for your cat. This is something I noticed with my cat. Dry food turns him into a dose-dependent maniac. He starts acting anxious and never goes far from the cupboard where we used to keep his dry food package. He will dash across the room every time I walk anywhere near that cupboard, in hopes that he will be fed. He wanted to eat (and did) much more and in much bigger amounts than when we moved him to wet food. 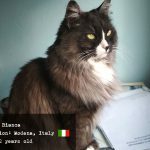 When I stopped feeding my cat dry food (and it was one of the premium brands!) 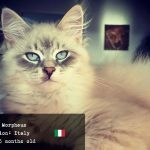 my cat’s behavior changed in the course of a few days. He became much calmer and level-minded and seemed not to be as dependent on his food and more interested in his toys and his environment than food. Whether its carbohydrates or dry food additives and chemicals that affected him that way, I don’t think it was good for him. It was a little annoying for us too! Don’t turn your cat into an addict – don’t feed them dry food. My recommendation is always to feed your cat either natural meat food or canned food (wet food.) Although wet food isn’t always the most natural solution either, and can also contain additives and enhancers, on the whole, it isn’t as bad as the dry food. At least it contains a good amount of liquid for your cat. When choosing a good brand of canned food, there are a few things you should be paying attention to. Animal protein should always be the main ingredient in any cat food. Just like with dry food, avoid wet food that contains plants, grans, vegetables of any kind. If your chosen cat food does contain grains or vegetables, make sure the total amount of calories from those ingredients does not go over 10%. The majority of your cat’s energy needs to come from animal protein! What meat is in it? Pay attention to what type/kind of meat is listed on the label. Avoid cat food containing large doses of fish. While domestic cats have definitely developed an affinity for fish, it is not the most valuable ingredient for cats. It’s much better to pick the food that is mostly beef or chicken or turkey. Make sure the label actually says: “chicken/beef/turkey/rabbit”. ” Not “chicken/beef/turkey meal/rabbit” or “chicken/beef/turkey/rabbit by-products”. When there is a word “meal” on the label, that means that the meat has been harshly cooked at very high temperatures, which destroys a lot of nutrients and minerals. When you see the word “by-product”, that means that there is little to none of the actual muscle meat and the food consists of by-products, such as skin, feathers, eggshells and other less valuable ingredients. Mind that beef can be a food allergen but not for all cats. Watch the additives and enhancers. Try to stick with the food that doesn’t contain too many additives, taste and smell enhancers, artificial colorings and the such. Just like with people, none of those substances are good for your cat, and some can be very harmful over time. Meat by itself is supposed to be very attractive to cats, and there should be no need to enhance anything. Watch the number of preservatives, too. Of course, wet food has to contain some preservatives to keep it from spoiling, but just try to pick the foods that have less (See some recommendations on particular brands below). Beef can be an allergen to some cats, but some tolerate it just fine. Eggs can also be an allergen. Really, with any ingredient, if you see your cat display signs of allergy (runny eyes, sneezing, puking, diarrhoea, issues with skin), to exclude that allergen for a while and replace it with a different type of meat. For a lot of pet food brands, the quality of their marketing often exceeds the quality of their product. Brilliant (and sneaky!) promotions are aimed at making you believe their food is just what your cat needs. Marketers come up with new ways to convince you to buy their stuff every day. Learning to see through their messages and see the actual truth is important if you want to keep your cat healthy and not waste money. Don’t buy into labels that say natural, breed-specific, holistic, wholesome. Those are fairly abstract words and companies use them left right and center. Check the labels and make your own opinion on whether the food is natural and holistic or not! Surgeries, drugs, and therapy – all cost a fortune! You can pay for good nutrition for your cat today, or you can save money today and pay ten times more in the future when your cat is sick, possibly irreversibly. It’s your choice, but I think you know what to choose. When your cat eats meat, it naturally receives all nutrition it needs in balanced amounts, which is perfect for its health. It’s a bit more complicated with commercial cat food. A well-balanced food that contains all of the main nutrients would be your best bet. Here is a list of some of the main vitamins and nutrients that a good cat food should contain for the health of your kitty. Vitamin A is good for your cat’s immune system, digestion, teeth, and eyesight. Without enough vitamin, your cat will experience slowed development, skin diseases, and some other issues. Good for your cat’s teeth and bone, and an important part of the calcium-phosphorus exchange. Vital for your cat’s liver. Helps fight infection and restoration of the body after wounds or illnesses. An important vitamin for your cat’s nervous system and their good psychological state. Helps metabolize proteins and supports your cat’s digestion. Needed for strong teeth and bones. Participates in the cat’s DNA synthesis, improves elements absorption. Helps synthesize hemoglobin that is needed for oxygen transport within the body. Hi Nancy, so sorry to hear your kitty is having health issues. It’s hard to say with renal cats, I’d suggest getting a second opinion with a different vet. When the disease has progressed to a certain point your cat might not be able to process even the most natural food anymore, and special food might indeed be better. But it’s hard for me to give advice as I am not a vet and I wish only the best for your kitty. If you can, ask another vet for their opinion and see what they say. You can also try to find a vet specializing in natural nutrition in your area, they might have an insight into this. 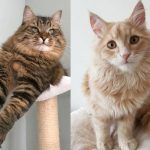 Here is another article you can check out about natural nutrition: https://www.clubcanine.net/what-vets-say.shtml (it’s called Club Canine but the information is relevant to cats as well). But I would definitely advise to seek professional attention and advise as your kitty has a condition. I wish him all the best!! Hi! 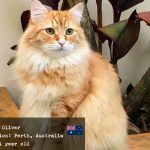 I’m getting a cat and wanted to prepared for what it needs. I just wanted to know how much wet food should I be feeding my kitten daily and how much I should be feeding it when it’s an adult. 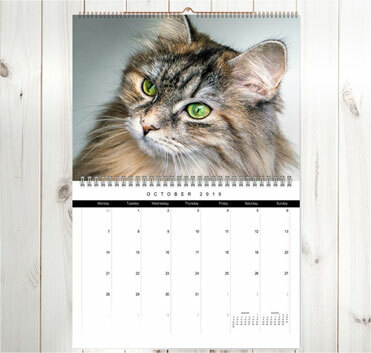 Do you happen to have a chart of a nutritional food guide for a Siberian kitten and/or cat. Also, I have another question. 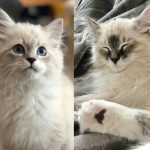 Do Siberian cats NEED dry food or can they just live with wet food. Also, what shampoo should I use for the kitten/cat. Thank you!! !